Delavan, WI — Republican U.S. House candidate Paul Nehlen has filed a complaint with the Federal Election Commission naming Twitter, Inc. (“Twitter”) as a respondent. The full text of the complaint may be read here PAUL NEHLEN TWITTER FEC COMPLAINT. “Let’s Make Freedom Of Speech Great Again,” Nehlen concluded. 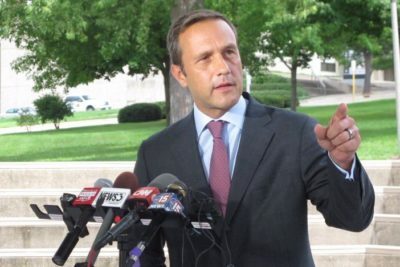 Delavan, WI — Republican U.S. House candidate Paul Nehlen is the first candidate or elected official willing to stand up and propose a legislative solution to the problem of censorship of Americans’ lawful speech on social media. The legislation would impose company fines of $500,000 per instance of wrongful censorship, and would be enforced by the FCC. Judicial remedies (both monetary and non-monetary) may also be available to aggrieved parties. “The bedrock of American society is freedom of speech. Social media companies have usurped this freedom, and we intend to give it back to the American people,” says Nehlen. Paul Nehlen is a turnaround specialist, business executive, and inventor who started on the factory floor, who, with God’s grace and some determination, rose to lead Fortune 500 manufacturing businesses around the world. Nehlen challenged Speaker Paul Ryan in Wisconsin’s 2016 First Congressional District to stop Trans-Pacific Partnership and secure America’s border. He is waging the battle for Wisconsin’s workers, against the refugee resettlement racket, and lends his voice to the battle for America’s values. He lives in Delavan, Wisconsin.